How Much Money Will Westford Lose? Westford Residents stand to lose 75.6 Million Dollars in Property Values. 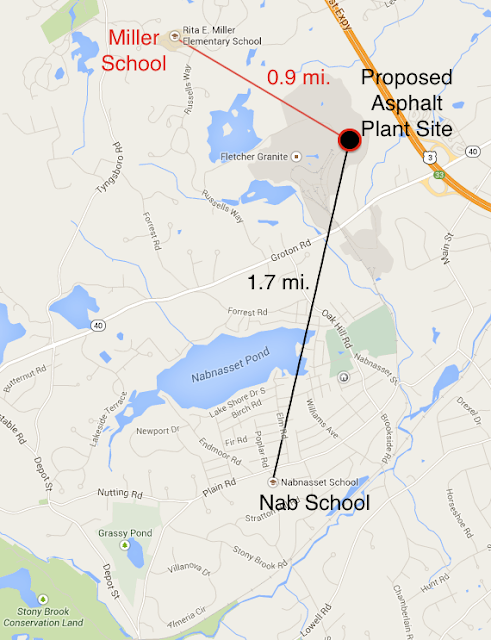 Although we cannot definitively know how an asphalt plant will affect Westford, we can make an educated prediction. We can use the values lost from an actual asphalt plant, and calculate a projected affect on Westford. Based on actual loss, Westford residents are likely to lose a combined 75.6 million dollars in homeowner property value, which would be the equivalent of 1.2 million dollars in tax revenue annually for the town. · Research from Pineola, NC, where property values before the introduction of an asphalt plant were an average of 27% higher than values post-asphalt plant. 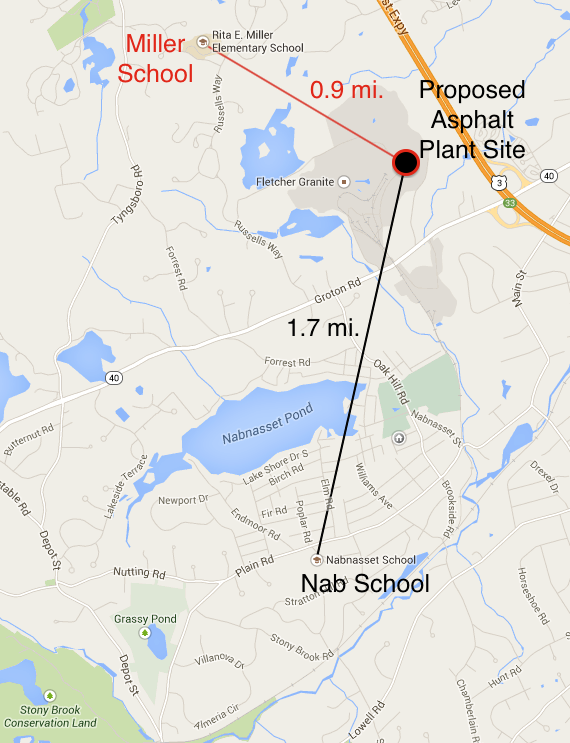 Westford residents will lose property value if the asphalt plant is allowed into Westford. Included here, is a tax assessor’s document, that clearly shows a 15% decrease in taxable value to a home near an asphalt plant in Portsmouth NH due to traffic. 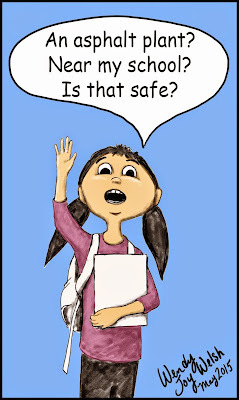 is less than a mile away from Miller School! 5 Reasons Why Westford Needs an Asphalt Plant! 1. We want more Chemicals in the air we breathe! Formaldehyde, hexane, phenol, polycyclic organic matter, and toluene. May cause cancer, central nervous system problems, liver damage, respiratory problems, skin irritation, and coughing, wheezing or shortness of breath, severe irritation of the skin, headaches, dizziness, and nausea. 2. 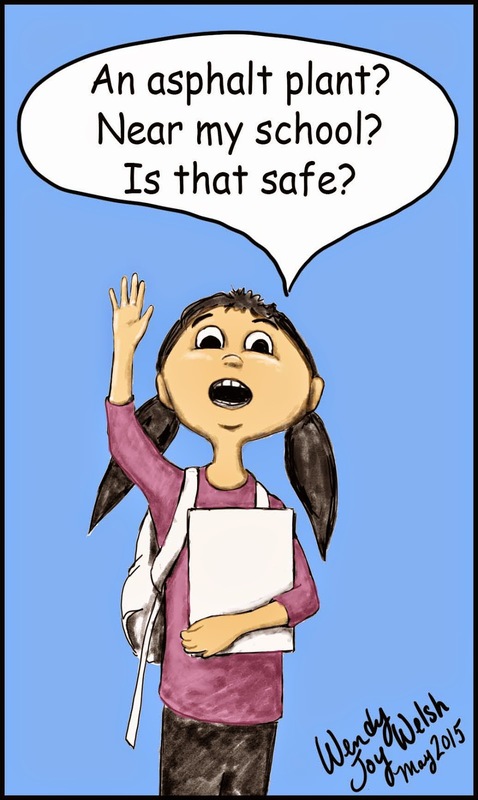 We want to share those wonderful chemicals with our children! Nab is less than two miles. 3. Money Magazine’s “Best Places to Live” is not a list Westford wants to be on! An asphalt plant will ensure that we will never make a top town list again! Perhaps after getting an asphalt plant we will even make it on a “Worst Places To live” list! 4. We want our home values to be as low as possible! We don’t want to be like Carlisle, Wellesley, and Lexington (which don’t have asphalt plants); we’d rather be like Saugus, Peabody, and Pittsfield (which do have asphalt plants). All towns with an asphalt plant have lower house values than Westford does. If we want to have lower property values, we need an asphalt plant too! 5. Trucks, Trucks, and More Trucks! Wouldn’t it be great to have hundreds of trucks crawling down route 40? The asphalt plant will ensure that you’ll always be late! As a bonus, we’ll get even more chemicals from the diesel exhaust!